Yes, folks. 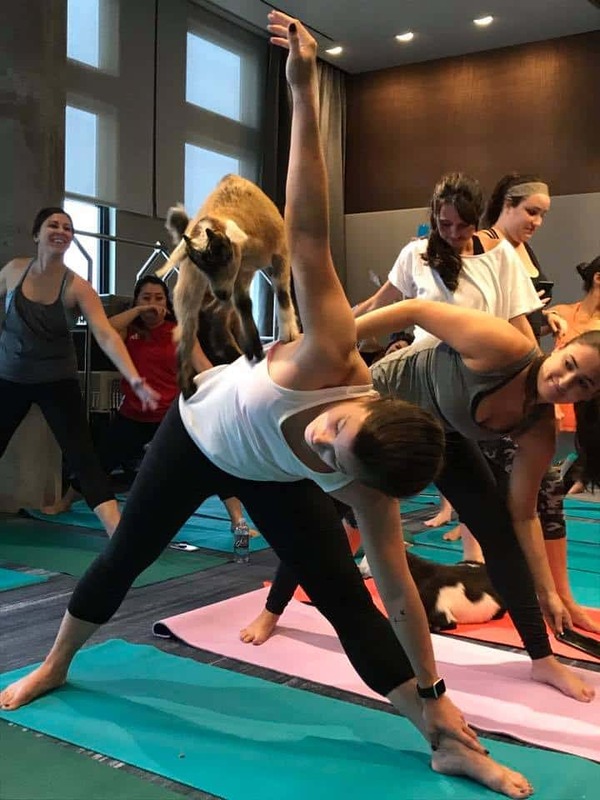 You heard that right – we did indeed try goat yoga recently! 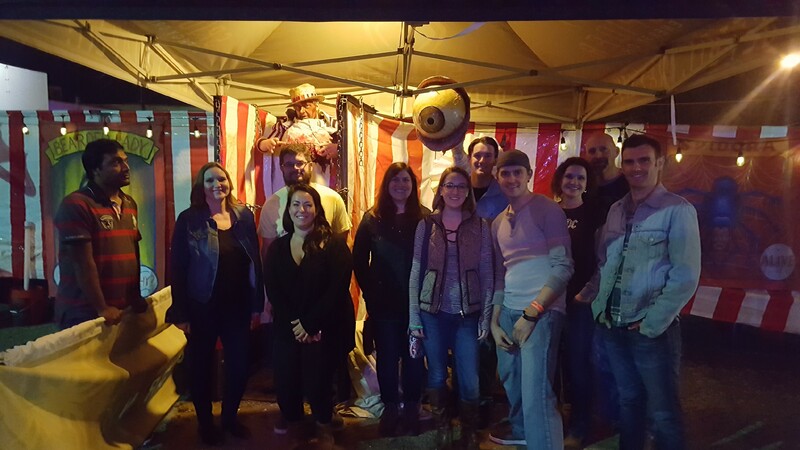 We wrangled up our crew and headed out to Shenanigoats’ new studio in Madison, TN to partake in the latest craze to sweep through Nashville. We were greeted by some fabulous goats, including the popular Miles who has his own Instagram handle - @IAmMilesTheGoat! Did you know that goats eat 75% of their body weight daily? They sure do! The goats at Shenanigoats tromped around and ate leaves and such that were left out for them. They let us pet them and some even snuggled right up to our members! It was cuteness overload, for sure. Our instructor, Lori, was awesome. Yes, you actually do yoga. We moved through the different poses and she provided modifications for us newbies. The goats randomly decided to jump on us as we moved from planks to down dogs and the various warrior poses. It was quite comical and we all really enjoyed the experience. We ended class in a group circle where the goats ran across our backs continuously. They will do anything for some food! 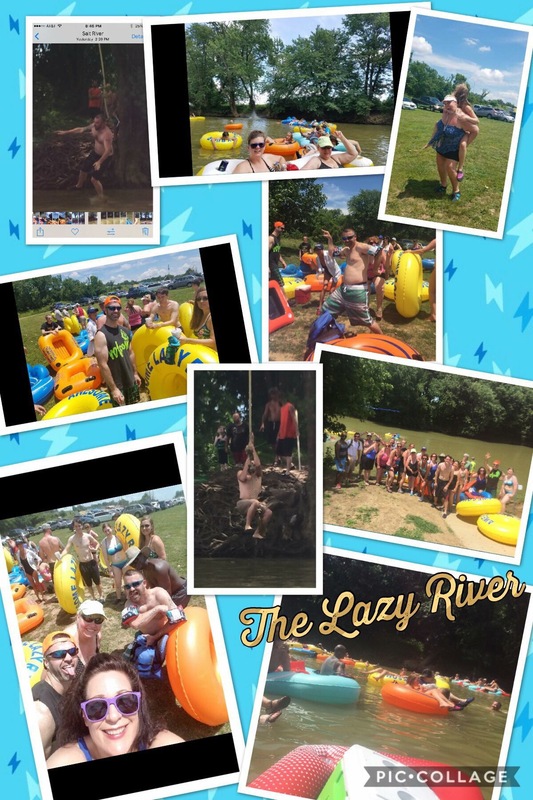 E&A Goes to The Awesome Lazy River!!! E&A Goes to Brand New Madame Tussauds Nashville! 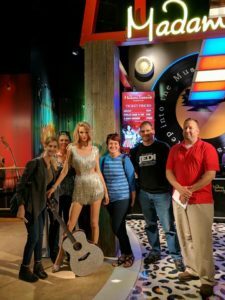 E&A Goes to Brand New Madame Tussauds Nashville! 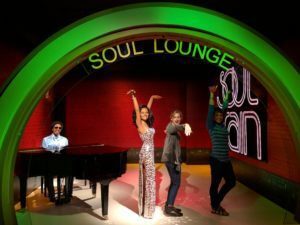 Things got waxy this week as we headed over to the recently opened Madame Tussauds Nashville! 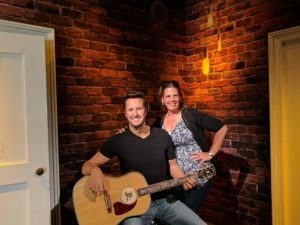 If you don’t know, Madame Tussauds Nashville is a wax museum of celebrities at Opry Mills. 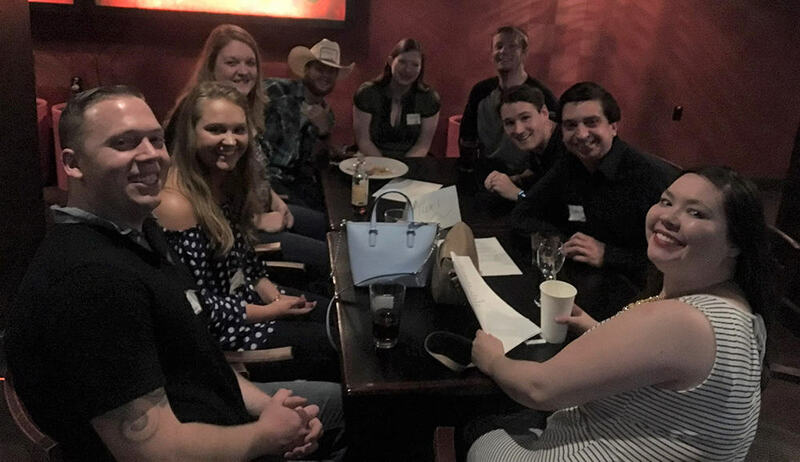 We rubbed shoulders with all the stars, including Taylor Swift, Luke Bryan (who we recently saw in concert at Bridgestone Arena! ), Keith Urban and many more! There are many things to see here, including a recording studio that makes you step back in time to the mid-1950’s where you can practically feel the music being made. There is even an Opry stage, where you can relive an era where Opry legends were born. 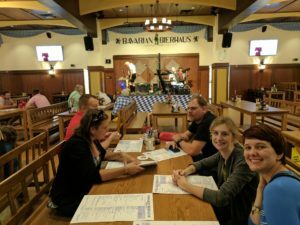 After we strolled through the wax museum (took us about an hour), we tried out the new Bavarian Bierhaus. Their food is quite tasty and their “bier” list is extensive. 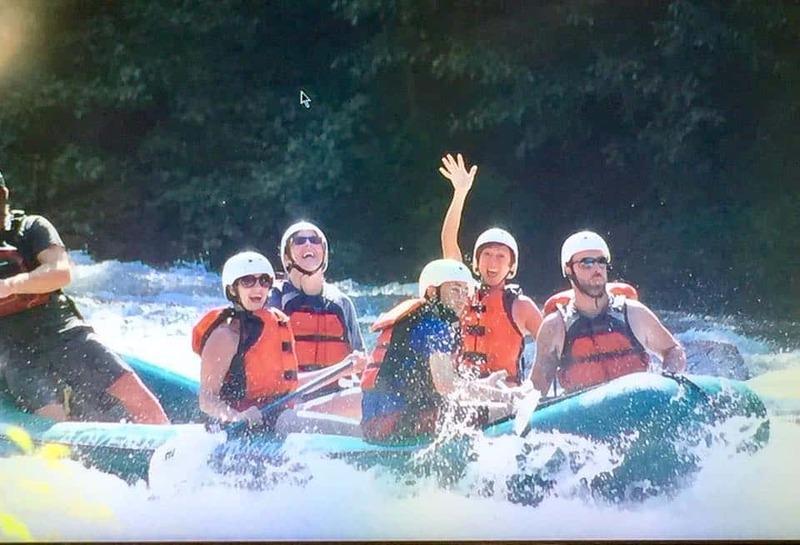 Our group had a blast here! 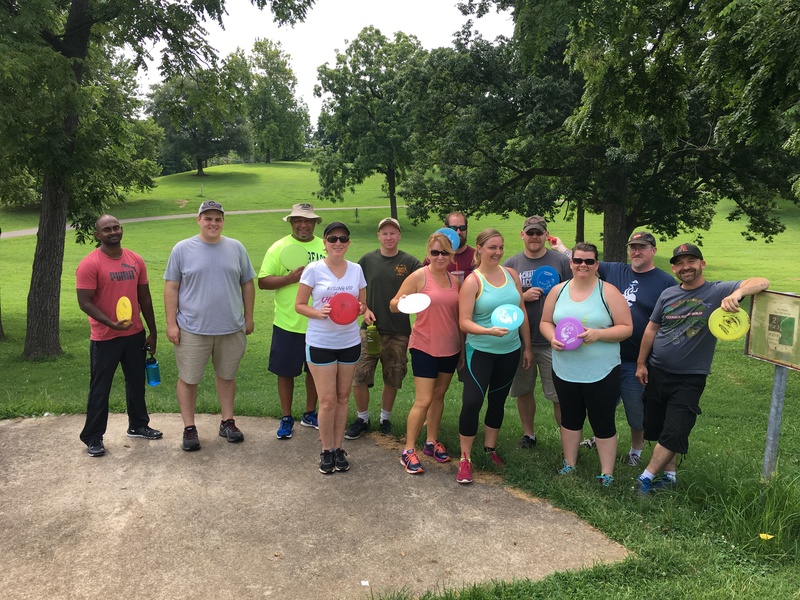 Are you single in Nashville and ready to start having fun? 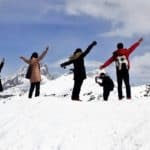 You can join us on our next adventure! We have events every single day of the week, sometimes even multiple things going on. Check out our calendar featuring 30-40 events per month here. Copyright 2017 - Events & Adventures.